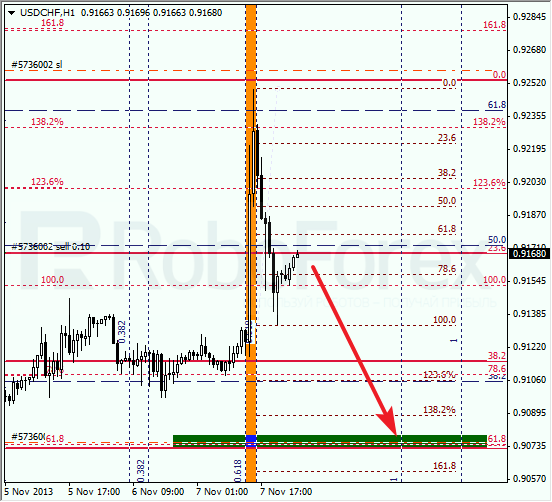 Euro reached its predicted targets and my Take Profit worked. In the near term, after fast decline, market may start correction. Target is at level of 38.2%. 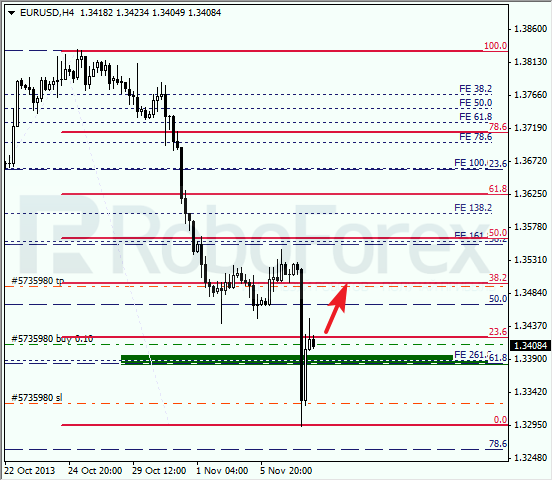 As we can see at the H1 chart, there is one more fibo-level inside target area, 138.2% (correction). According to the analysis of the temporary fibo-zones, pair may reach its predicted levels during the day. 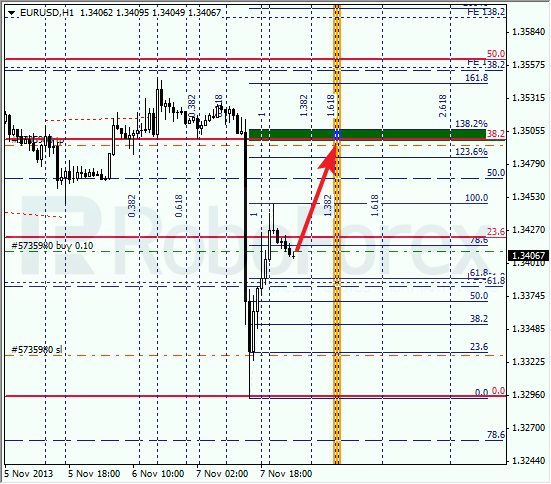 Franc also reached bullish targets; my Take Profits worked. It looks like pair is starting correction. Probably, market may return to level of 50%. 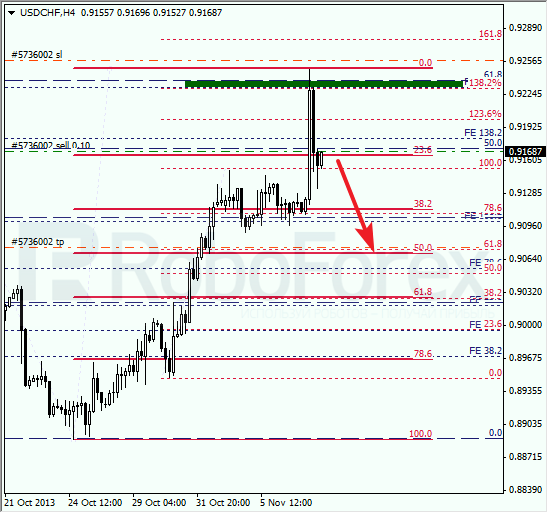 At the H1 chart, bulls completed local up-trend inside one of temporary fibo-zones. During local correction, I opened short-term sell order. Main target level of 50% is confirmed by several local levels.